A long stretch of beaches and a lovely tropical weather — what’s not to love about Hainan? Located in the southernmost part of China, it is the only tropical city across the coastline. It is also known as “China’s Hawaii,” a famous destination with watersports facilities and an array of luxury hotels. Take advantage of Hainan’s lovely weather and experience the best outdoor recreational facilities. 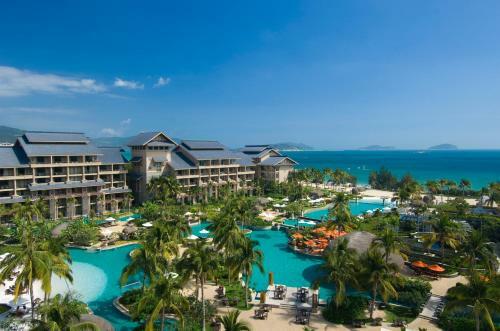 Check out our list of the top 5 best hotels in Hainan with a lazy river! Tucked away from the city center, Hilton Sanya Yalong Bay Resort & Spa is a relaxed paradise that will bring you closer to the natural wonders of Sun Bay and Dadongdai Beach. This family-friendly resort offers luxury spa facilities with massages, body treatments, and facials. Most importantly, for the kids, there are recreational amenities such as a water park and a lazy river. Additional features include dining establishments such as restaurants and a coffee shop/café. Thirsty? Quench your thirst at a bar/lounge, a beach bar, or a poolside bar. 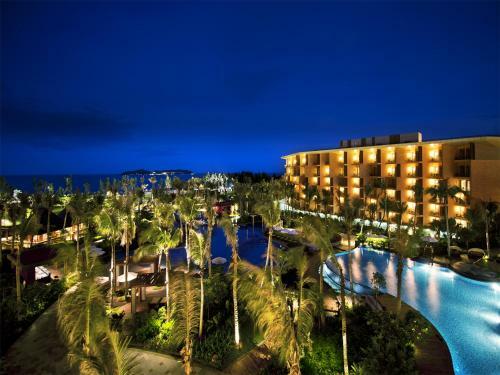 Featuring a blend of Southeast Asian architectural styles, Pullman Sanya Yalong Bay Villas and Resort does not only offer comfort and recreation but also a feast for the eyes. Some of its most popular amenities include a lazy river, 9-hole and 18-hole golf courses, and relaxing spa massages. It is ideal for families with kids and even for a big group of friends. In case you prefer some privacy during your stay, you can take advantage of the private pools inside the villas. The Ritz-Carlton in Sanya offers relaxation at its finest. With its high-end wellness amenities such as a lazy river, outdoor pools, a sauna, and a private beach, guests will never run out of things to do to unwind. The resort is recommended for families, even offering childcare services/babysitting. 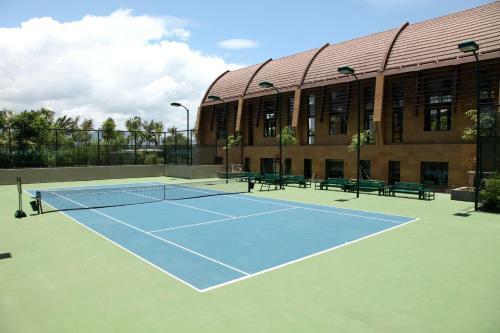 Sports enthusiasts will also be delighted to know that a tennis court is located within the hotel grounds, as well as a cycling area and a fishing area. 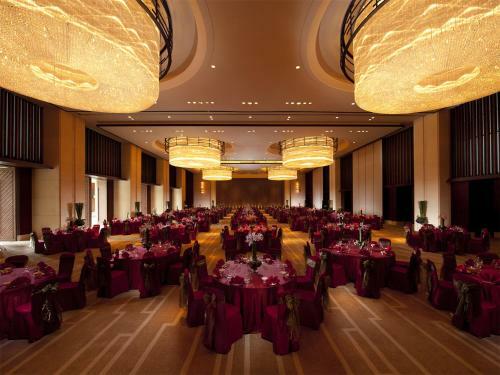 At night, expect a fun evening entertainment and a selection of sumptuous cuisine at the on-site restaurant. 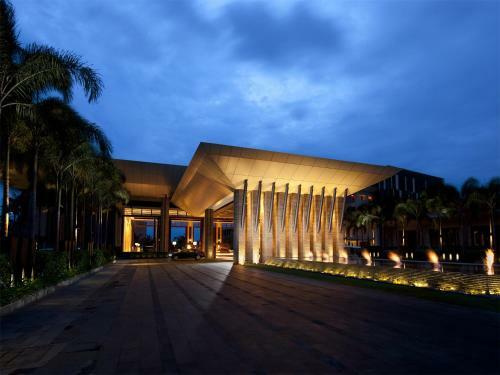 If you love both beaches and gardens, Doubletree by Hilton is the ideal place to stay in Sanya, Haitang Bay. 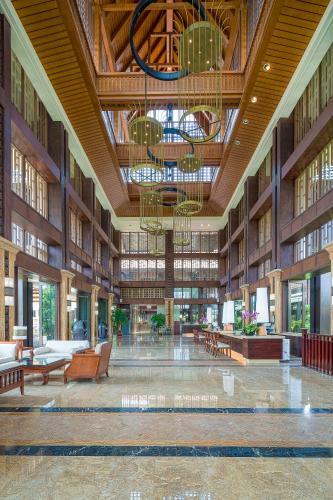 The luxurious modern hotel building is nestled within a lush tropical garden. Just a few steps away from there, you will reach a private beach where guests are free to enjoy the waters. There is also a lazy river, a spa, a gym and a swimming pool. Aside from outdoor recreation, guests can also look forward to an exquisite dining and drinking experience. Boasting of a French-style architecture, there’s no doubt Pullman Oceanview Sanya Bay Resort & Spa is a popular destination for couples seeking a romantic retreat. 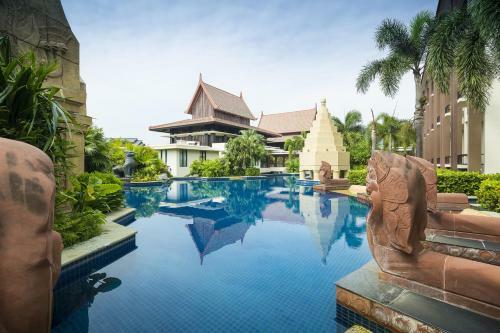 Its prominent features include a lazy river, a private beachfront and several landscaped pools. After soaking in the waters, guests can avail of a soothing massage at the day spa or enjoy barbecue on site. There is also a rooftop bar where you can sip afternoon drinks while overlooking the breathtaking Sanya Bay. We deserve to splurge once in a while. 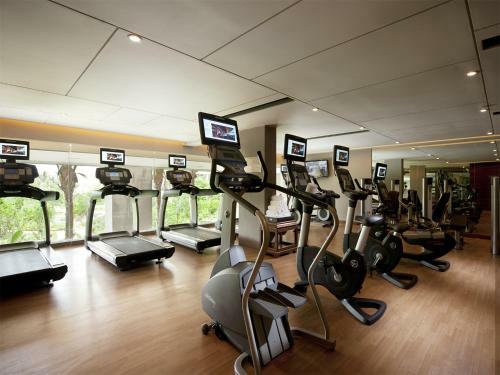 Hainan’s upscale hotels, equipped with the best recreational facilities, are definitely worth every buck. 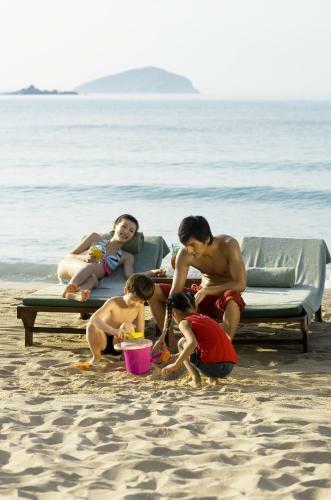 Enjoy the lazy rivers and the beaches — have fun under the Hainan sun!